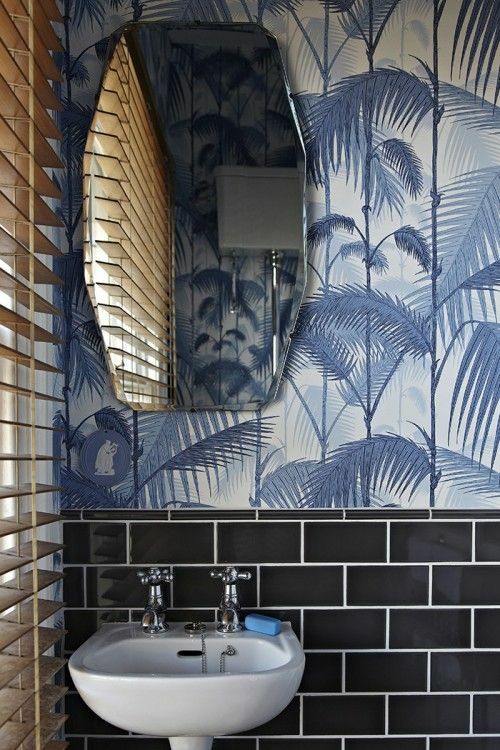 I love a good powder room moment, don't you? If there's anywhere in your home to experiment, it's definitely here in my opinion. Paper it in a bold way, mix hardware, choose a trendy mirror or light fixture...it's all good in the powder bath. Until it's not good anymore...then switch it up again. 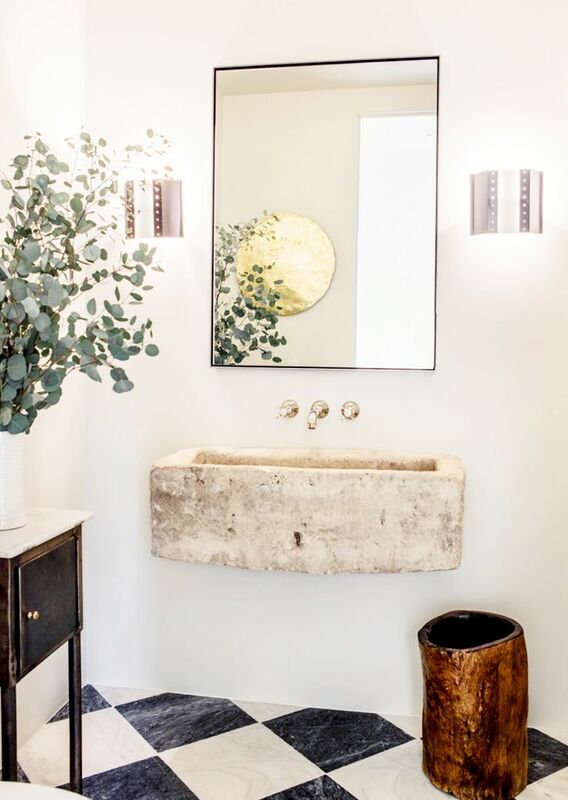 I guess I love it so much because powder baths are to your house kind of what your favorite H&M or Zara pieces are to your wardrobe...a low-investment opportunity to try out a trend that may not be in style (or in your home) for long. They're also a great place to show your guests how cool you are...so go all out!